The SYLVANIA 300 is a NASCAR Sprint Cup Series race that’s held every year at the New Hampshire Motor Speedway in Loudon, New Hampshire. This year’s SYLANIA 300 will take place on Sunday, September 19th. If you’ve ever wanted to experience NASCAR in style, lighting leader SYLVANIA is running a contest that you need to check out. The SYLANIA Ultimate VIP Experience contest is a NASCAR lover’s dream come true. One lucky fan (and a guest) will get to experience the event in true VIP style. The winner of the contest will arrive at the speedway in a helicopter, tour the NASCAR Sprint Cup garage, attend the drivers’ meeting, watch the race from a luxury suite, visit victory lane and receive a gift basket filled with lighting products and race souvenirs. Anyone who purchases tickets to the race will be entered in the contest automatically, but fans who have not purchased tickets can enter the contest at no cost. 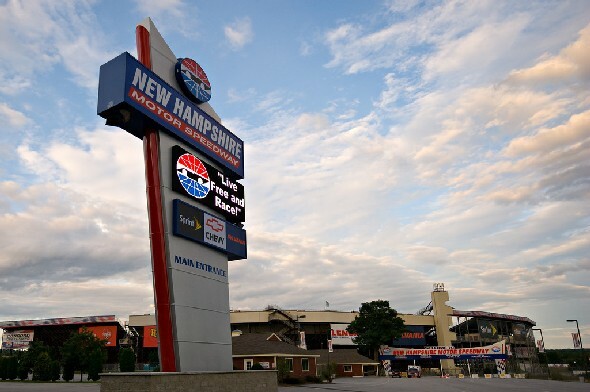 To enter the SYLANIA Ultimate VIP Experience, just visit the New Hampshire Motor Speedway site by September 10 and fill out a quick entry form. The winner will be selected on Monday, September 13. Print article This entry was posted by Chris Stout on September 1, 2010 at 5:42 pm, and is filed under Entertainment, Lifestyle. Follow any responses to this post through RSS 2.0. Both comments and pings are currently closed.